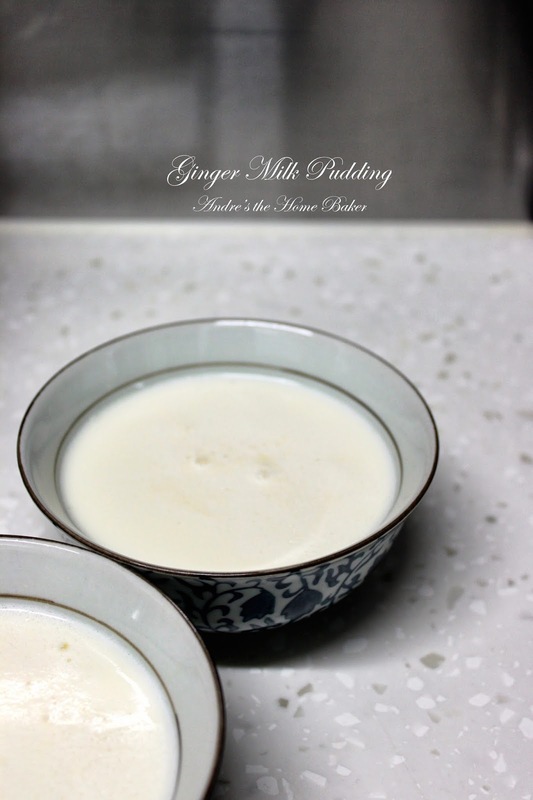 薑汁撞奶, ginger milk pudding (aka ginger milk curd), is a traditional Chinese dessert made of ginger juice, buffalo milk and additional sugar to taste. 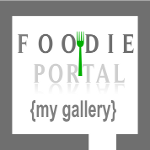 They curd without any solidifying agents, neither agar nor gelatine. So what makes the fat and protein in milk to solidify as such custard-like pudding? This is simple. It is the starch that naturally exist in ginger. 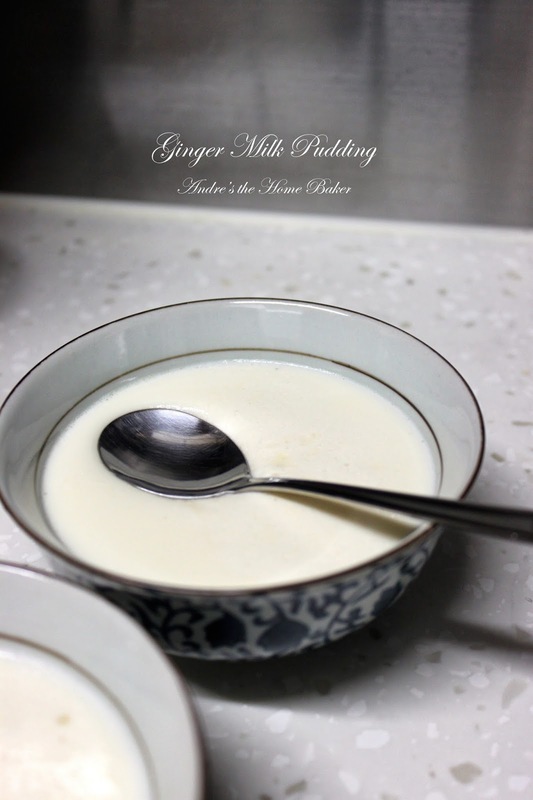 Apart from the ginger, milk will be the next important component for this dessert. Here I used this pasteurized hokkaido milk. You may need several attempt to figure out the right temperature, and I found 80 C will do the trick. To see if your milk curdled, slip a spoon lightly on top and see if it falls! Divide prepared ginger juices equally among bowls. Let stand for 5 minutes. 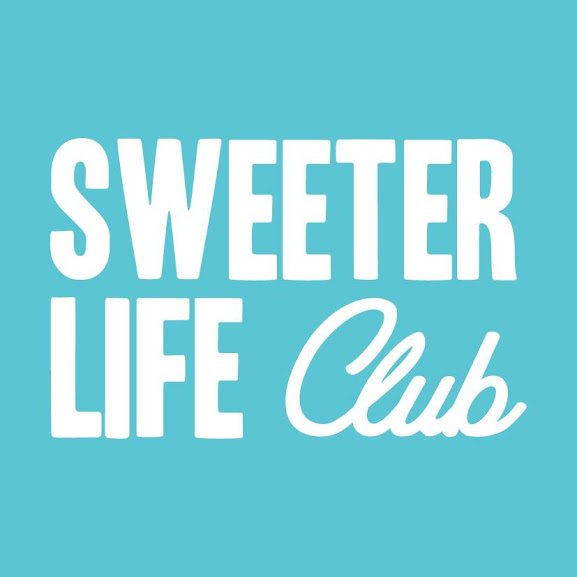 In a saucepan over medium-low heat, heat milk and sugar until dissolve and slightly bubble. Off fire, and rest for 3 minutes. Immediately pour milk into each bowl in one go. Without moving or touching, leave bowls alone for 10 minutes. Best served hot. 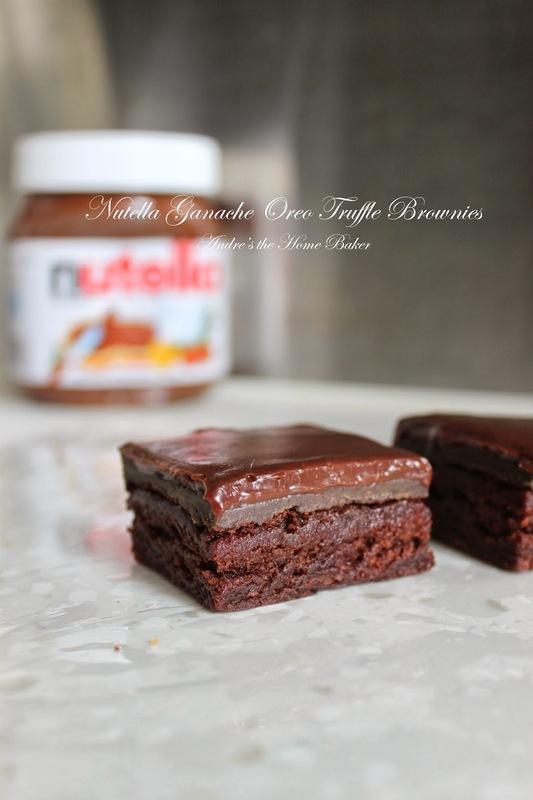 Nutella brownies are unbelievably easy to make and hearty to eat. Someday I should post the recipe up for you. 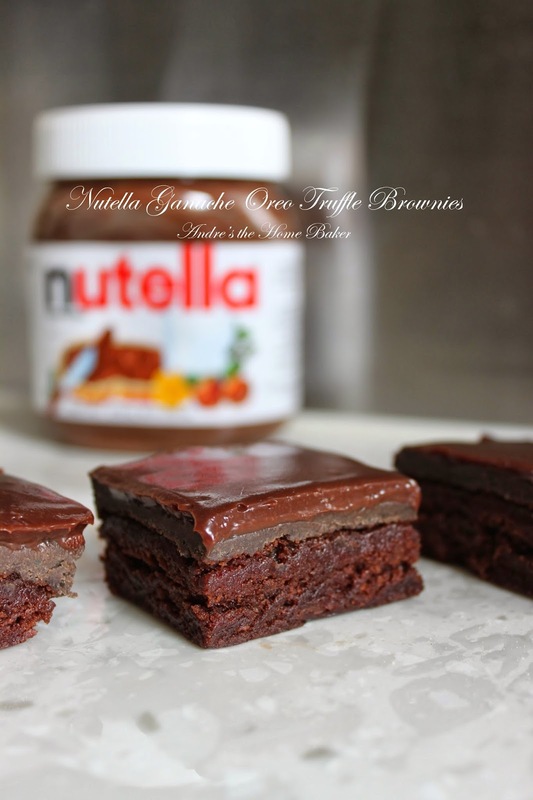 But before that, have you ever think of a brownie with both melty Nutella and creamy oreo truffle filling? What will happen when Nutella hit Oreo? Must be a chocolate heart attack. Can you see those awesome layers within the brownies? Oh they are just eye-catching and mouth-watering. This recipe is quick as long as you have a handy easy brownie recipe. 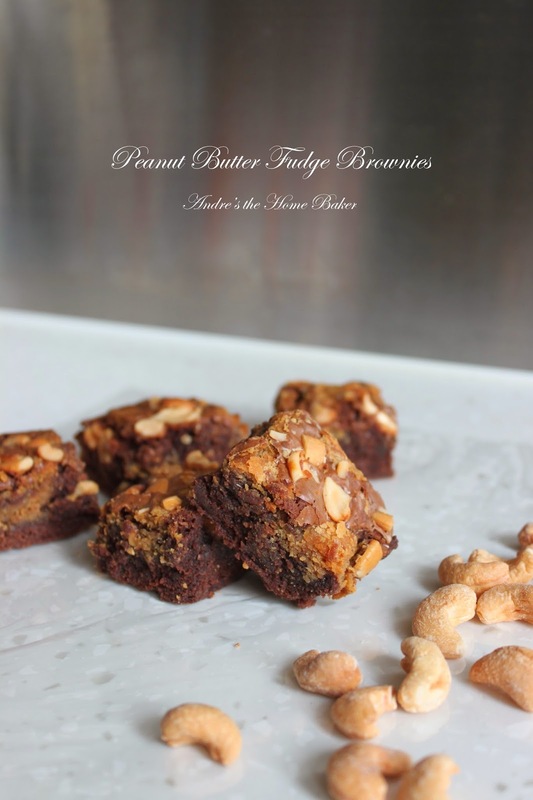 I didn't include a brownie recipe here just to let you do your favourite one. Fudge? Cake? Gluten Free? Anything!!! Preheat oven to 180 C. Line 8 x 8 baking pan with parchment paper, set aside. Prepare brownie as direction on the package. Pour into pan and bake. Meanwhile in food processor, add oreo cookies and process into crumbs. Mix crumbs with cream cheese and set aside. Once brownie is cooled, spread oreo-cheese mixture over brownie. Chill brownie in pan in the fridge for at least 30 minutes. Simmer heavy cream over stove at medium low heat. Pour heated cream over Nutella and add pinch of salt. Stir until smooth with heat-proof spatula. Take out brownie from fridge, pour ganache over it and spread evenly. Chill brownie overnight. Best serve cold and store well in fridge. It's peanut butter again! It's brownie again! Buckeye brownies! 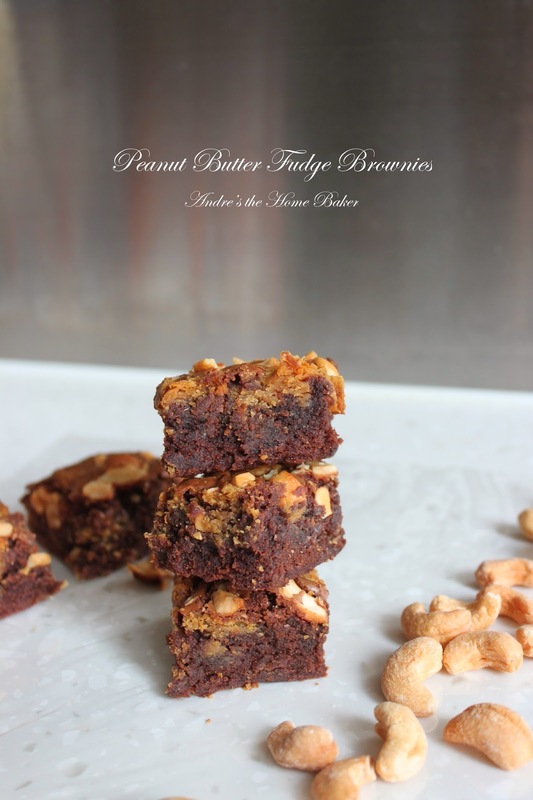 A fusion of peanut butter and chocolate. These brownies are gooey, fudgy, chocolatey, and melt-in-your-mouth. For a kick of crunchiness, I sprinkled some chopped cashew nuts on them. Get these treats now! Store for up to a weeks in airtight container. Cookies N' Creme. Or Oreo? You name it! 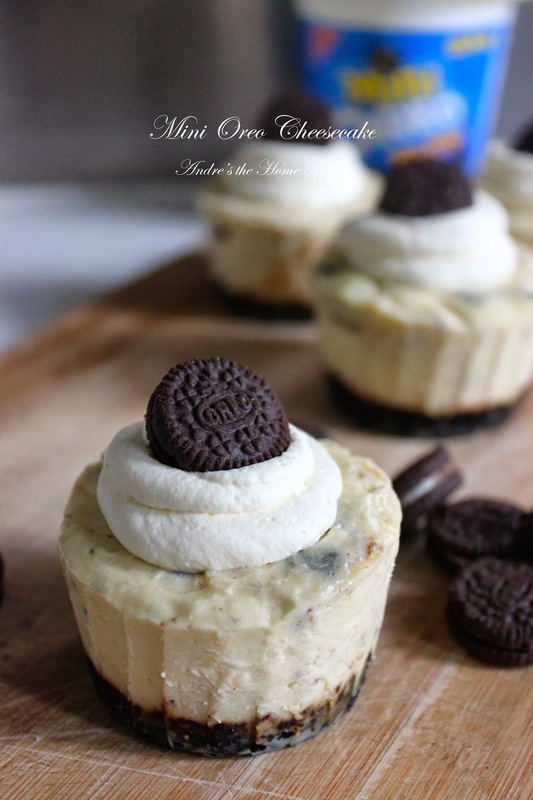 As request for some Oreo treats, I have finally came up with these cutie cheesecakes. Aren't they look adorable with that teeny tiny bite-size chocolate sandwich on top? This cheesecake recipe can easy doubled for a dozen cheesecake, or you can make an 6-inch one. If you are not bother to make your own oreo cookie crumbs, you can simply place an oreo at the bottom of each muffin tins. This method is very easy but traditional. Preheat oven to 175 C. Line tins with muffin cups and set aside. In a microwave safe bowl, melt butter in microwave in 15 minutes increment, for a total of 30 minutes. Pour melted butter into cookie crumbs. Divide damped crumbs between muffin tins and press to firm. In a large mixing bowl, add cream cheese, sugar, vanilla and egg. Mix until incoperated. Fold in crushed oreo cookies. Divide batter among muffin cups and flatten top with spatula. Bake for 15-20 minutes. Cool on wire rack completely before chilling in the fridge overnight. Add powdered sugar and vanilla to heavy cream and whisk with electric hand mixer until stiff peaks formed. Pour the whipped cream in a disposable piping bag or ziplock bag for easy piping. 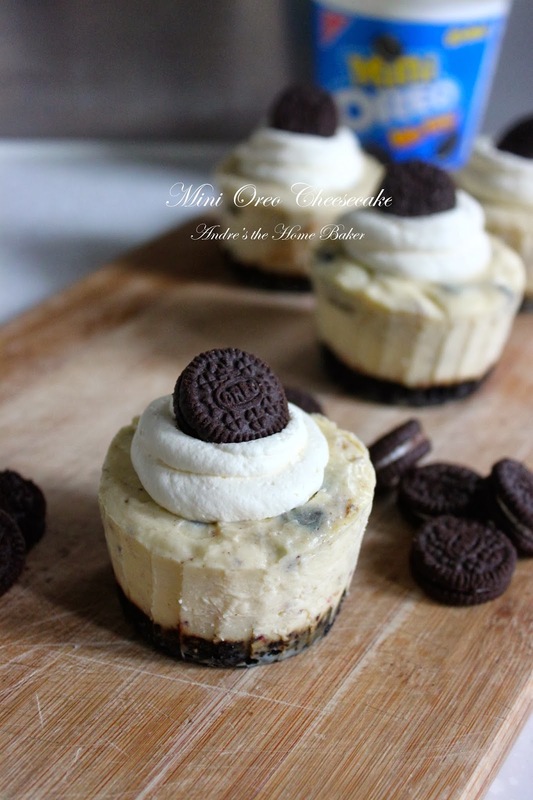 Dollop 1 tablespoon whipped cream on each cheesecake and top with mini oreo. I have recently bought a silicon mini bundt cake case. 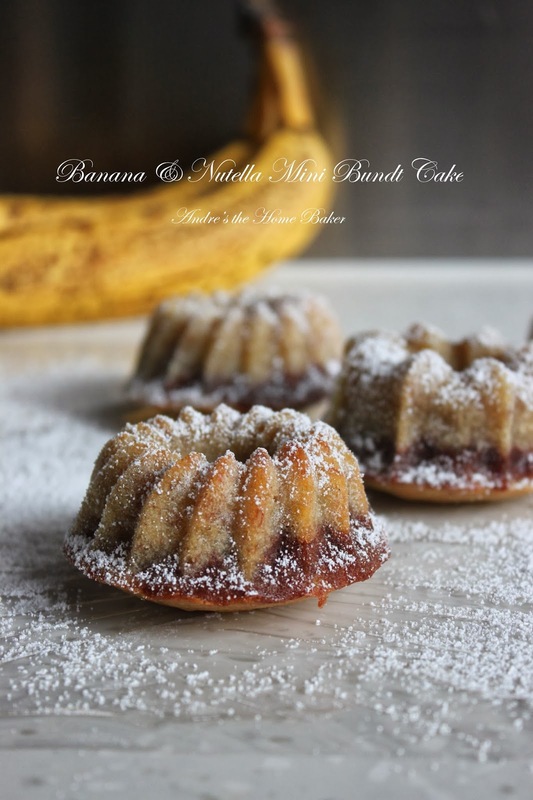 It is very convenient without the need to grease + flour the pan when making bundt cakes. I have thought of baking red velvet, chocolate or lemon bundt cake. But staring at that bunch of bananas for weeks, they finally came over-ripped! Woohoo! Time for some banana cake! Banana bread / cake is always best to serve warm, or with some chocolate. I swirled some Nutella spread in the recipe and voila~ they turn out perfect. If you're eating banana & Nutella toast for breakfast, you should make these for a little twist for a bright morning. Preheat oven to 180C. Grease and flour bundt pans if not using silicon style. Set aside. In a medium bowl, mix together flour, baking powder, baking soda, salt, cinnamon and nutmeg. Set side. In a large mixing bowl, add eggs, mashed bananas, sugar, oil. Whisk well. Add dry ingredients to the wet, and fold until well combined. Separate 1/4 of batter in a medium bowl and add Nutella, stir until it turns chocolatey. Divide cake batter between mini bundt, followed by chocolate batter. Swirl with butter knife. Bake for 20 minutes or until toothpick inserted into centre comes out clean. Cool for 5 minutes in pan and turn upside down on wire rack to cool completely. This is a cake-form tiramisu. With extra ladyfingers and multiple layers of mascarpone cheese. It makes the best cake for Valentine's Day or Birthday.